While litter size has steadily increased from 7.5 in the 1950's to 11.00 in the 2000's, the standard size of a farrowing crate has remained the same at 5'x7'. 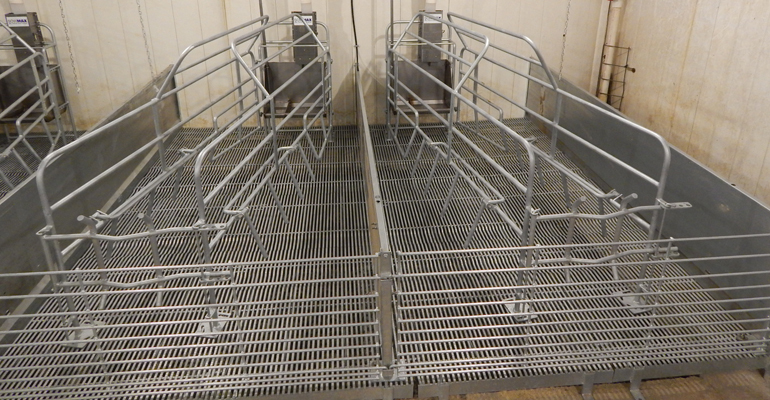 When constructing new facilities, it is common for producers to increase the farrowing pens to 6'x 8' to accommodate for the expected larger litters. Success with these larger pens sent producers looking for ways to remodel existing farrowing rooms without reducing the total number of crates. This article illustrates an example of a successful remodeling project converting 48 standard crates into a larger 5'6"x 9' size. The existing farrowing room consisted of four rows of (12) 5'x 7' crates. 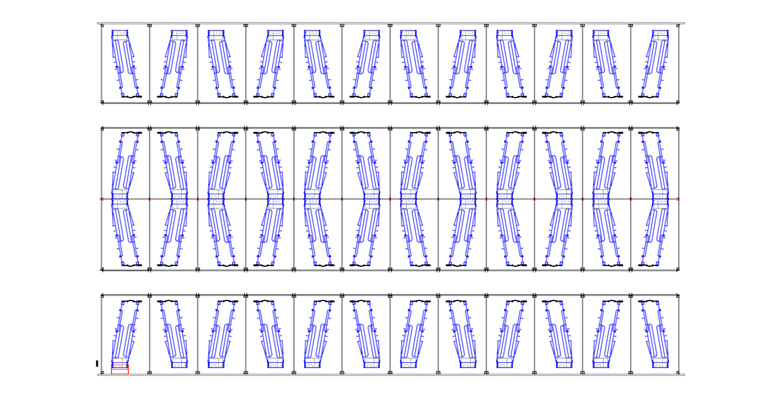 The rows faced each other with a three-foot feeding alley in between. A two-foot loading alley was located at the rear of each stall for an overall interior room width of 40 feet. Overall room length measured 66' with 60' long crate rows and two three-foot access alleys at each end. In the remodeling project, two rows of crates were faced to the outside walls with the two interior rows placed head-to-head. This arrangement created two access alleys measuring approximately 24" between the crates. Eliminating the access alleys at each row end provided an additional six inches of width in each crate. Self-supporting, nine-foot-long TriDEK farrowing floors span three of the existing alleys. Swing style crates angled in the pen allow for increased creep areas while enabling the pigs to move in front and at the rear of the crate. Swing crates feature a moveable crate side that can be opened to remove the sow out the back of the stall eliminating the need for a front alleyway. 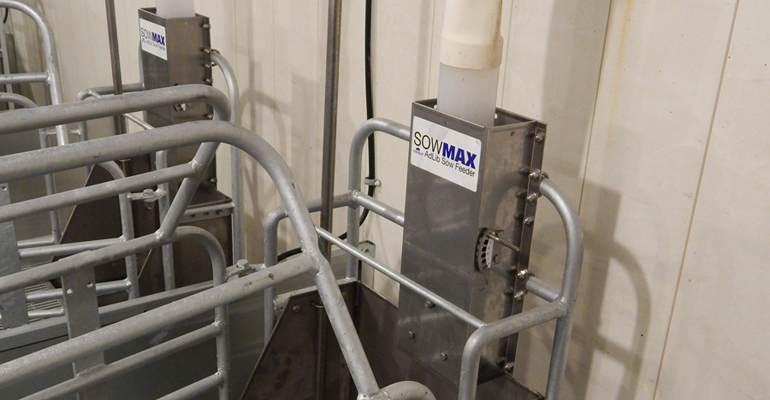 SowMAX feed dispensers, supplied by an overhead Grow-Disk feed system were installed above the sow bowls in each crate. The automated feed system removed the need for a feeding alley in front of the crates. The SowMAX dispensers also reduced feed wastage accumulating on the old concrete walkways beneath the new TriDEK floors. Several large producers have retrofitted farrowing barns similar to this example with successful results and continue to convert additional existing facilities.